Jesus Christ. I can't believe how loud my upstairs neighbor's snores are. Messing with my concentration. 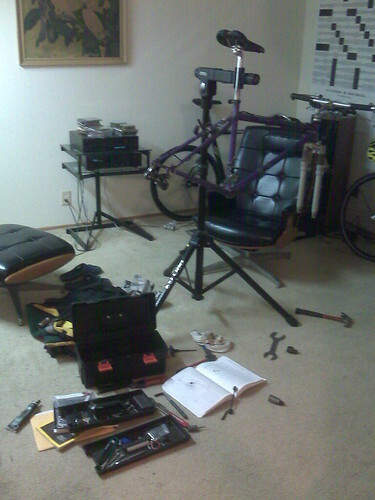 Anyway, I spent some time this evening wrenching on a bike for a friend. 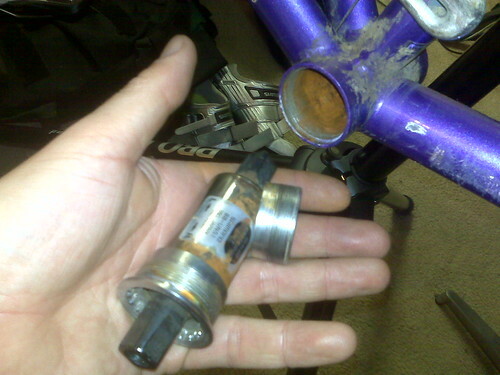 Popping off the bottom bracket was a bit tricky. You need a lot of leverage and my low-end stand wasn't having it. In the end I used a hammer to bang on the wrench which eventually loosened the drive side cup. Here is is. The bearings still feel good even though it was quite dirty. The above picture is post wipe down. 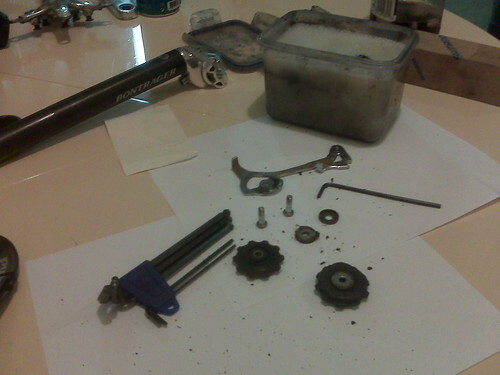 I removed the rear derailleur and will let it soak in some degreaser overnight. The pulleys are shot and will be replaced. And here I am all proud of having degreased my chain last weekend...where/how did you learn to do this stuff? Ah, now I get it. Maybe I should try sleeping sometime.